Russian Talmudist and a member of a prominent rabbinical family; born in Smiela about 1780; died at Brody July 17, 1854. He devoted special attention to the historical setting in rabbinical literature and wrote a number of valuable genealogical essays; one of these is in the possession of Solomon Buber, Lemberg, and another in that of Fischel Landau in Vienna. 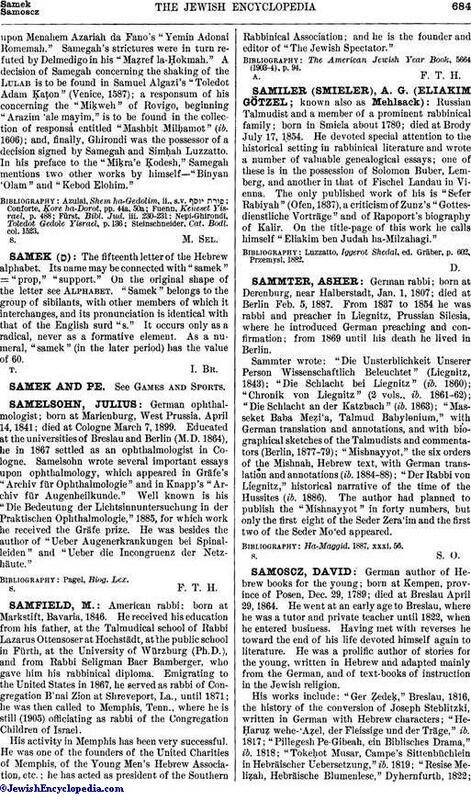 The only published work of his is "Sefer Rabiyah" (Ofen, 1837), a criticism of Zunz's "Gottesdienstliche Vorträge" and of Rapoport's biography of Kalir. On the title-page of this work he calls himself "Eliakim ben Judah ha-Milzahagi." Luzzatto, Iggerot Shedal, ed. Gräber, p. 602, Przemysl, 1882.